Mid Shropshire Wheelers were formed in 1925 and are now based at the Shrewsbury Sports Village where we are the resident cycling club at the Villages purpose built 1km floodlit cycling circuit. The club have produced many Olympic and World Championship riders, regional and National champions and have promoted many events to National Championship level including National Time Trials, Hill Climb, Cyclo Cross and Mountain Bike races. The Mid Shropshire Wheelers have traditional roots but have moved with the times to encourage an active Youth membership and hold the prestigious British Cycling Club Mark status. 2. 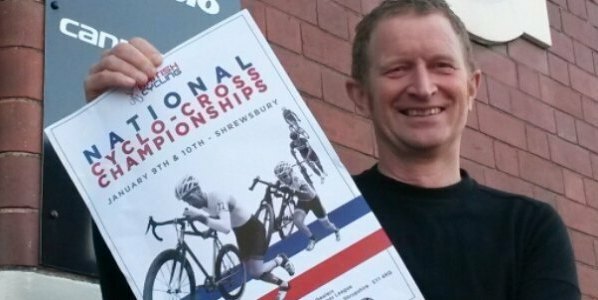 The Purposes of the Club are to promote the amateur sport of Cycling in Shrewsbury and community participation in the same area. Enter into sponsorship agreements with commercial concerns if so approved by a Club General Meeting. Any such sponsorship shall be governed by a special set of rules, also to be approved by a General Meeting. The addition of a sponsor’s name to the Club name under this rule shall not be deemed a constitutional change. Enter into sponsorship agreements with commercial concerns for individual riders or small groups of riders The addition of a sponsor’s name to the club name under this rule shall not be deemed a constitutional change. Co-operate with or affiliate to firstly any bodies regulating or organising the Sport and secondly any club or body involved with it and thirdly with government and related agencies Do all other things reasonably necessary to advance the purposes. For all enter on the line time trials, non-members of any CTT affiliated club may ride once after paying the day membership fee, after which they must become full members of the Mid Shropshire Wheelers or an affiliated CTT club. Such meetings need 21 clear days written notice to members. The quorum for all general meetings is 4 members present. The Chair or (in his or her absence) another member chosen at the meeting shall preside. Except as otherwise provided in these Rules, every resolution shall be decided by a simple majority of the votes cast on a show of hands. The Club will hold an AGM once in every calendar year before 31st January. The agenda shall be sent to all members 5 clear days before the date of the meeting. All notices of motions shall be given the Secretary at least 28 days prior to the meeting. Motions must be signed by proposer and seconder, at least one of these members must attend the AGM to speak for the motion – if neither do so, the motion will be struck off the agenda. The Treasurer will produce accounts of the Club for the latest financial year audited as the Committee shall decide. An EGM shall be called by the Secretary within 14 days of a written request to that effect from the Committee or on the written request of not less than 7 members signed by them. Notice must be given in writing, with the proposal agenda, to the Secretary at least 14 days before the proposed date of the EGM.. Such an EGM shall be held on not less than 14 or more than 21 days’ notice at a place decided upon by the Committee or in default by the Chair. Club colours shall be blue and yellow in a design approved by a Club General Meeting by a majority of two-thirds of the members present. Bronze, silver and silver gilt medals shall be awarded to members beating the set standards at (Men: 10, 25, 30, 50, 100 miles and 12 & 24 hours, Women: 10, 25, 50, 100 miles,Tandem: 10,25, 30, 50, 100 miles) in events organised in accordance with CTT regulations and substantiated by result sheet or signed confirmation by CTT approved timekeeper. The standard times and distances to be reviewed by the committee before commencement of each racing season. Any member qualifying for more than one standard for the same distance in the same season shall only be awarded for performances that surpass those achieved in earlier seasons. Trophies shall be awarded perpetually for performance in Club, Association or Open events nominated or approved by the committee. Claims for standard Medals award and trophies awarded shall be made in writing to the time – trial secretary the later than 15th October. The club shall maintain a list of club records which are displayed on the club website. The Committee elected annually shall consist of a chairman, vice-chairman, secretary, treasurer, time-trial secretary, off-road secretary, road & track secretary, membership secretary and committee members to make a total of 11. All offices shall be honorary. Any committee member failing to attend 3 consecutive meetings without a satisfactory reason shall be deemed to have resigned and the committee shall have the power to elect another member in his place. The Committee shall meet every calendar month or at the discretion of the secretary. The Committee may delegate any of their functions to sub-committees but must specify the scope of its activity and powers; the extent to which it can commit the funds of the Club; its membership; its duty to report back to the Committee. Such a sub-committee may held monies on behalf of the club in order that it may effectively carry out the activities designated. These monies will remain at all times the property of the Mid-Shropshire Wheelers and will appear on the Treasurer’s Balance Sheet. The chairman/secretary of the sub-committee shall be an officer of the Club. The Committee may wind up any sub-committee at any time or to change its mandate and operating terms. The Club financial year shall be from 1st December to 30th November, after which the treasurer shall prepare a balance sheet of accounts, which shall be audited by two honorary auditors who shall be elected by the committee. These Rules may be amended at a general meeting by two-thirds of the votes cast but not (if relevant) so as to jeopardise the Club’s status as a Community Amateur Sports Club as first provided for by the Finance Act 2002 and not in any event to alter its purposes (unless the procedure set out in 9(b) has been followed) or winding up provisions. Best All Rounder Trophy – awarded for the fastest average speed over 25, 50, 100 miles and 12 hours. Middle Distance Trophy – awarded for the for the fastest average speed over 25, 50 and 100 miles. Handicap Best All Rounder Trophy – for the fastest aggregate handicap times over two 25mile, one 50mile and one 100mile time trial events. For the purpose of this competition, handicap times will be calculated off the club record for the distance at the beginning of the season. Castle Trophy – awarded for the fastest average speed over two 10mile and one 25mile time trials for Junior members. James Price Rose Bowl – awarded for the greatest distance in a 12 hour time trial. Bob Foxall Cup – awarded for the fastest time in the nominated 100 mile time trial. 50 Mile Championship Trophy – awarded for the fastest time in the nominated 50 mile time trial. Victory Trophy – awarded for the fastest time in the nominated 30 mile time trial. Geoff Passant Memorial Trophy – awarded to the handicap winner of the nominated 30 mile time trial. 25 Mile Shield – awarded for the fastest 25 mile time trial of the year. MSW Senior Hill Climb Trophy – awarded to the winner of the nominated hill-climb. MSW Youth Shield – awarded to the fastest youth in the nominated hill-climb. Evening 10’s Points Shield – awarded to the winner of the most points in the nominated SCCA evening 10 mile series. Hare & Hounds Trophy – awarded to the fastest ride of the year in the nominated SCCA evening 10 mile series. Pete Francis 2up Trophy – awarded to the fastest team in the nominated SCCA 2up 10 mile time trial. Ray Page Memorial Shield – awarded to the best veteran plus standard over 10, 25, 50 and 100 mile time trials. Arthur Bishop Memorial Trophy – awarded to the winner of the annual Easter 25 mile time trial. Rough Stuff Trophy – awarded to the best senior in the West Midland Cyclo Cross League. Pete Tandy Memorial Trophy – awarded to the best junior in the West Midland Cyclo Cross League. MSW Youth Cyclo Cross Trophy – awarded to the best youth rider in the West Midland Cyclo Cross League. MSW Open 50 Trophy – awarded to the winner of the Open 50 mile time trial. Curly Downes Memorial Trophy – awarded to the fastest team of three riders in the Open 50 mile time trial. Novice Distance Award – awarded to a novice rider in 100 or longer time trials. Tweaky Road Race Trophy – awarded to an outstanding road rider. B&J Morris Track Trophy – awarded to an outstanding track rider. Shrewsbury Chronicle Merit Trophy – awarded to the rider who has provided the most outstanding performance. Clubman of the Year – awarded to the club person who has made an outstanding contribution to the club. The Howell Encourager Plate – awarded to the most outstanding female rider of the year. The Boyd Triple Trophy – awarded to the best triathlon rider. Border Shield – awarded to the most improved rider in the nominated evening 10mile time trial series. Bob Whitney Memorial Trophy – awarded to a junior who has made an outstanding contribution to the club.